Japan’s youngest professional shogi player, 14-year-old Sota Fujii, won his 27th consecutive match Saturday, extending the second-longest winning streak in the traditional Japanese board game. Fujii, a fourth dan who has been unbeaten since December, is now one match shy of the record of 28 consecutive victories achieved by eighth dan Hiroshi Kamiya, 56, in 1987. 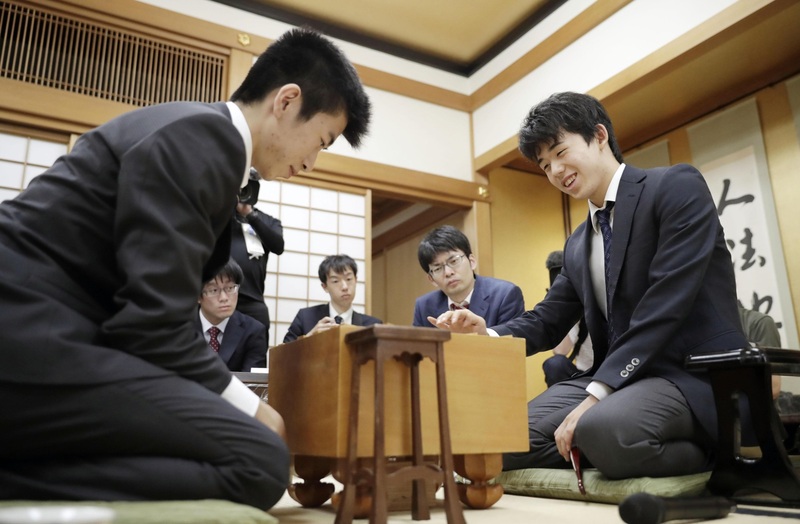 In his latest match, Fujii, who is still in junior high school, defeated 19-year-old amateur Hayata Fujioka, a freshman at the University of Tokyo, during the preliminary round of a tournament in Osaka. Fujii’s make-or-break match on Wednesday will be a rematch against 25-year-old Shingo Sawada, a sixth dan who lost a close game to Fujii. 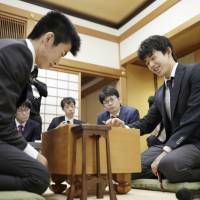 Fujii has not lost since winning his December debut against 77-year-old Hifumi Kato, a ninth dan who is the oldest player in the game. That win came two months after he became youngest professional shogi player ever at the age of 14 years and 2 months.